We regularly mention architectural glass on our blog and in marketing pieces, which can be a bit of a good thing and a bad thing. That’s because, on the one hand, architectural glass is a very exciting type of product. Often, when homeowners and interior designers see samples in our showroom for the first time, the first word that comes to mind is simply “wow.” Many people haven’t ever seen anything like it before, and weren’t even aware that such beautiful designs and textures could be added to their homes. On the other hand, however, writing about architectural glass is a bit like describing any other piece of art with words – it’s a good starting point, but it just doesn’t tell the whole story. You just have to see and feel it for yourself to understand what the big deal is. 1. A decoration with a distinctive look and feel. Simply put, there just isn’t anything quite like architectural glass. When you add it to your home, you get something with the look and feel that’s not like anything else on the market. 2. A reliable conversation piece. When you design your home with built-in glass art, people are going to respond positively and ask questions about it. So, if you frequently entertain friends, family, and dinner guests, it’s the perfect conversation piece. 3. A design element you can use for a long time. Because glass tends to be very durable, your architectural glass piece can be a stunning addition to your home for years – or even decades – to come in the future. 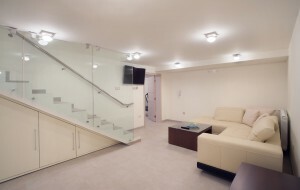 Want to see for yourself what makes architectural glass special? Visit the Calgary House of Mirrors showroom this week to check out the latest samples and styles. We will be closed Saturday, May 20th and Monday, May 22, for the May Long Weekend and will repoen Tueday, May 23rd! © House of Mirrors & Glass ltd. | By: eKzact Solutions Inc.